s called ‘quick solution for flooding’? 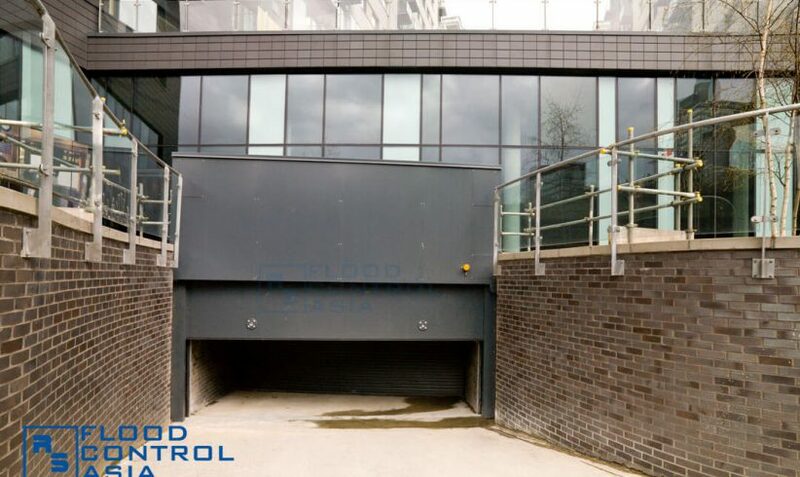 In an instant, by just pushing a button, the Drop-Down Flood Barrier can be brought down to secure an entire building. If operating it via push-a-button mechanism will defeat the purpose of quick response, there is an option of having the Drop-Down Flood Barrier fully automated. Watch this video and see how Drop-Down Flood Barriers work! If operated through an automated system, the Drop Down Flood-Barrier will rely on motion sensors to detect the rising of floodwater. Likewise, this motion sensor will enable the self-closing flood barrier to stop when someone is standing directly below. The self-activating flood barrier is not only a quick response to flood. It is also an efficient, safe, and durable flood control solution. 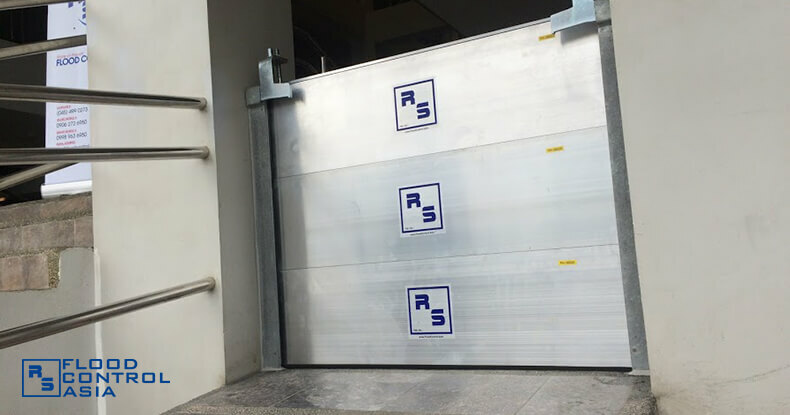 These automatic floodgates are excellent for roller doors. A self-activating flood barrier is what big industrial areas need. 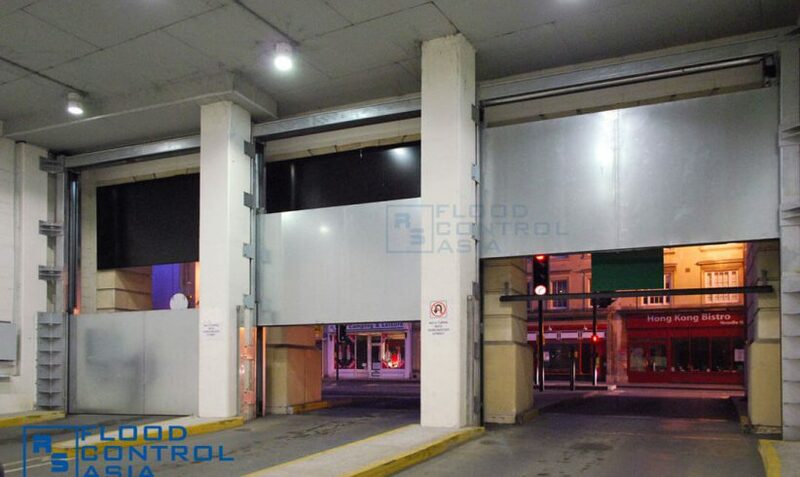 The Drop-Down Flood Barrier is the solutions for frequently flooded basement parking areas. Self-closing flood barriers can also work for warehouses or manufacturing sites. Drop-Down Flood Barriers exemplify the automation of flood control solution for the sake of quick but efficient response. These ones are self-activating, self-closing floodgates built on the top portions of large buildings. They are attached to the entry points’ canopy or lintel in an inconspicuous manner, so as not to alter the building’s artistic design. Drop-Down Flood Barriers are perfect for underground parkings. This self-activating flood barrier is best for structures with large entrances like vehicular entry points. 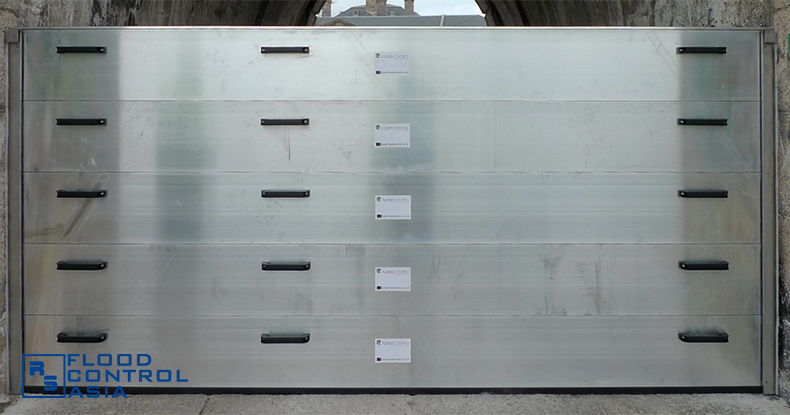 Multiple Drop-Down Flood Barriers can be installed on a building if one is not sufficient. When not is use, the Drop-Down Flood Barrier is unobtrusively and safely tucked in a shelf constructed above the entry point. The Drop-Down Flood Barrier can be operated automatically; it does not require a person to manually pull the barrier down. 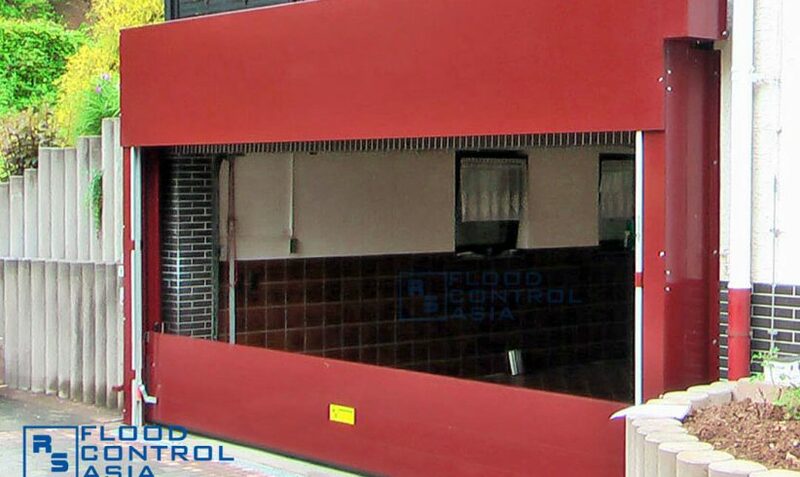 The Drop-Down Flood Barrier is equipped with sensors that can detect even a smallest spill. If there are obstructions on its way, the Drop-Down Flood Barrier can stop midway. 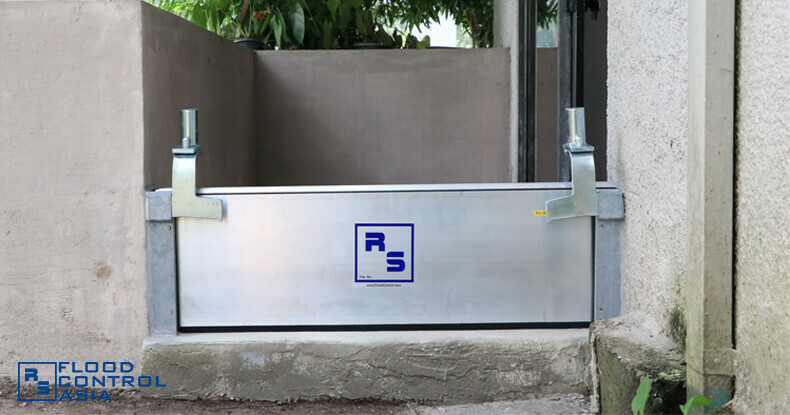 The Drop-Down Flood Barrier has a back-up power source to ensure its continuous operation in cases of power outage. 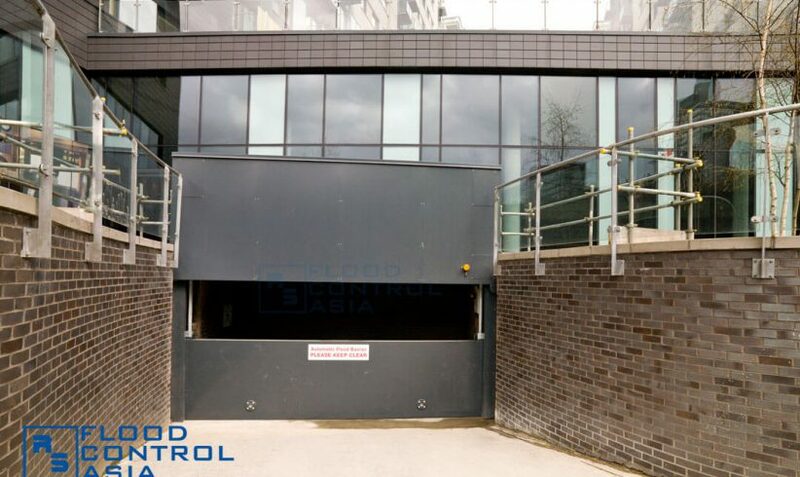 The Drop-Down Flood Barrier can be fixed inconspicuously on top of large entry points; thus, allowing unhampered access to the building. This type is an automatic floodgate, which can be operated through a remote control mechanism or through a motion sensor. This self-activating flood barrier has a 24-volt power back-up that ensures continuous operation even when electric systems are down. Though self-closing, its motion sensors can detect movements beneath the barriers; thus, preventing accidents. 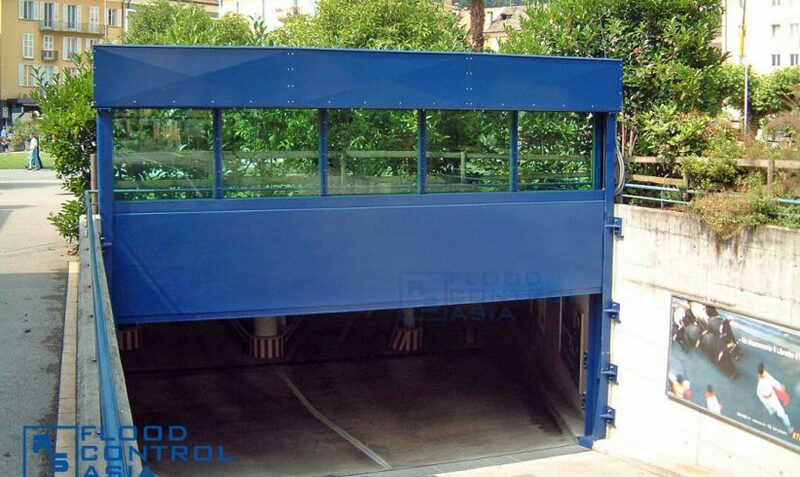 The Drop-Down Flood Barrier is made of high-grade construction steel, and can be painted through powder-coating to prevent corrosion. How to protect your assets, homes, and loved ones from flooding? The client will provide the necessary data (e.g., dimensions of the entrances, intensity of flooding, and number of required protections). Then, the RS flood control engineers will evaluate the information and create an action plan. The side channels that will hold the aluminum beams will be installed on concrete foundations. The actual site inspection will allow the RS flood control engineers to generate a comprehensive list of recommended flood control solutions. Once the site has been inspected the RS flood control engineers will provide the client with an assessment result. When the client agrees with the recommended flood control solution, a price list can be determined and the installation can begin. The RS flood control engineers will formally turn over the flood control solution to the client. All contraptions included in the flood control solution will be handed over to the client. As part of the turn-over activities, the RS flood control engineers will provide a hands-on training on the client’s party. This will allow the client and his household/manpower to have a firsthand experience of using the flood control systems. Such a firsthand experience will be valuable when responding to an actual flooding incident. How do you know if you need Drop-Down Flood Barriers? 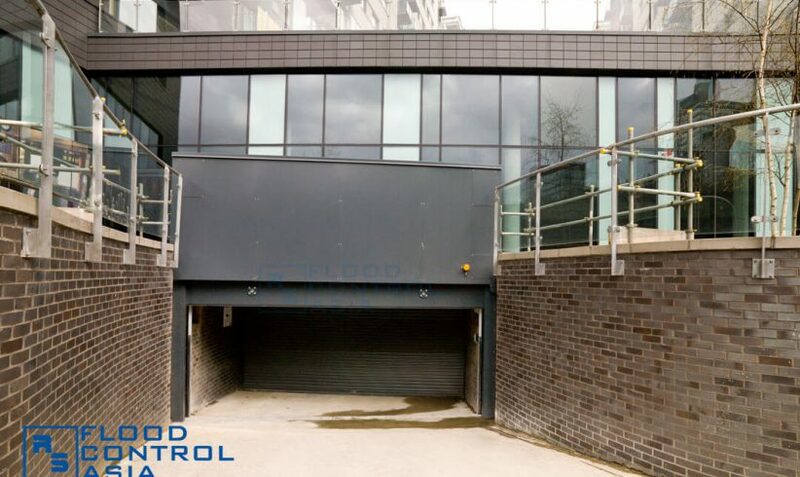 You need Drop-Down Flood Barriers if you own a big industrial site, underground parking, or if you want a flood control solution that DOES NOT require manual operation. Is the Drop-Down Flood Barrier really an automatic floodgate? It is self-activating and self-closing. A sensor rigged to it allows it to detect the threat of flooding. With this mechanism, there is no need to manually push a button to operate the Drop-Down Flood Barrier from a remote control center. Is this self-activating flood barrier 100% safe? What if someone or something got stuck directly beneath the self-closing barrier? The sensors can detect if there are obstructions in the Drop-Down Flood Barrier’s way. The sensor can do a “dead-stop brake” to prevent the barrier from closing down on whatever stands beneath. So, this self-activating flood barrier relies on electric power. What if there’s a power outage? The Drop-Down Flood Barrier has a 24-volt back-up system that will ensure its continuous operation should the main power source fail. Where can the Drop-Down Barriers be installed? They are best for big industrial sites where manning every entry point is a big challenge. Likewise, they will work perfectly for buildings where an automated flood control system is required. 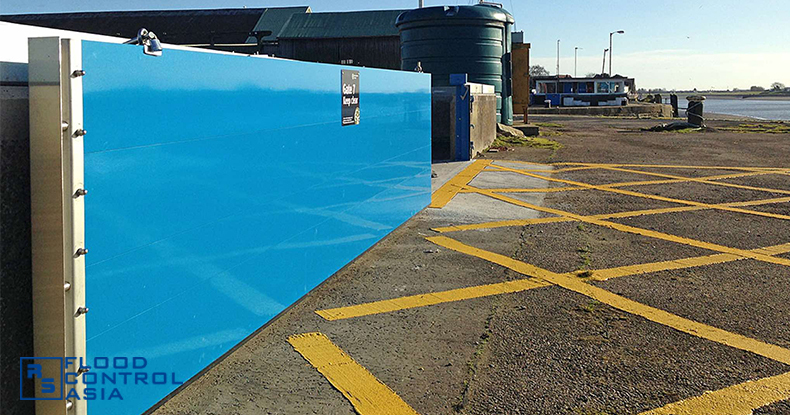 You can have the same total flood protection these facilities enjoy through the RS Demountable Flood Barriers.